Will the IRS Reduce the Penalties on Back Taxes? When you have unpaid taxes and are dealing with the IRS about your tax debts, you may be wondering if you can get the IRS to lower your penalties and interest. Owing the IRS money is overwhelming and stressful, but one of the best ways to lessen your stress level and protect your finances is to work with an attorney. While a tax attorney cannot make your income tax problems in Virginia go away, a knowledgeable lawyer can provide you with your next steps and help you work with the IRS to reduce income tax penalties. Only those with good cause may get their penalties reduced by the IRS, and the Sodowsky Law Firm can look at your situation to determine if you may fit into one of the good cause categories. 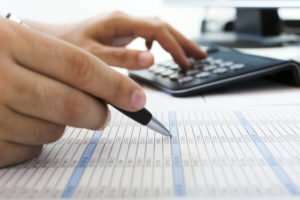 If the IRS does decide to abate, which means to reduce some of your penalties, the interest that is associated with those penalties will also be reduced. Otherwise, the IRS does not lower interest. If you have unfiled tax returns, we will guide you through the compliance process and will negotiate with the IRS on your behalf. Contact us to schedule your confidential and personalized evaluation. For answers and help resolving your income tax and other IRS problems, call attorney Elden Sodowsky in Fairfax for a consultation at 703.476.1176.